First off, thanks for all the love on this outfit! I love how when you have some random time with your closet, you can make something wonderful. I had just gotten this flannel shirt, which I l-o-v-e, from LL Bean and I was trying to find a new way to wear it. I had actually tried on a few other sweaters before I pulled this one out of the back of the closet. I love finding old treasures (and by old I mean a year old) in the winter part of my back closet. So with the shirt and sweater combo, I ventured on to my skirts. I'm not quite sure why but I love to wear them out of season. I think it has something to do with me not wanting to wear pants all the time, but I never seem to mind it. As long as my upper body is good, I'm good to go. 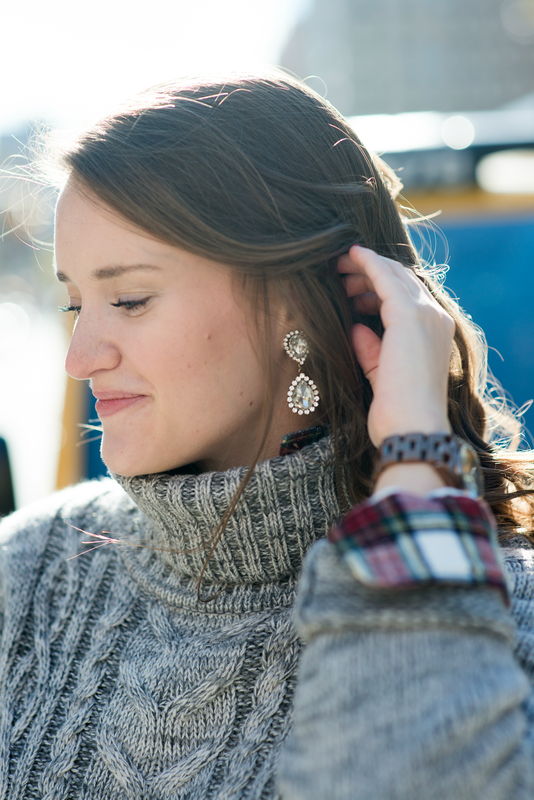 If you read this post yesterday, I talked about how flannel is my go-to in the winter. I've usually found my way to the J. Crew flannels, but this year (and forever going forward) I'm jumping ship to LL Bean. Let me tell you why you should join me. One, they have amazing quality clothing and it shows in these flannels. Two, the color options are top notch. Three, the price. Hello under $40! I currently own two, but I have more on the way so this won't be the last you see of this flannel! Love this look! 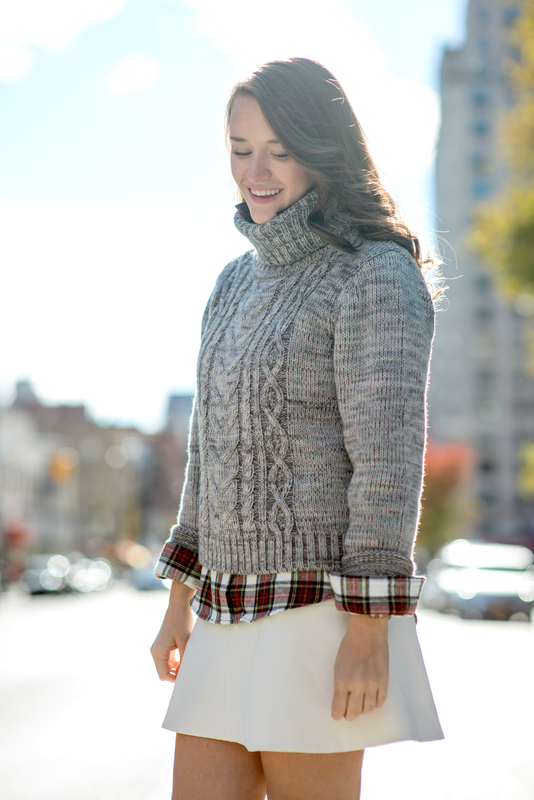 The sweater looks great layered with plaid! Love the great, warm layering! Perfect style inspiration! Love this look for chilly, but not cold, fall days! Loving your turtleneck!! It is perfect.